The heart of any home, creating the perfect kitchen for the all the family to come together is a worthwhile task. 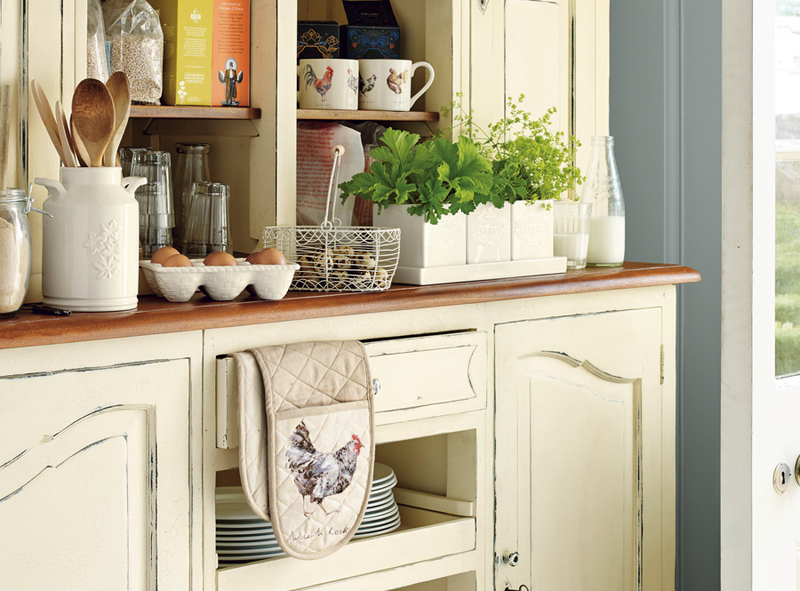 One interior trend that stands the test of time is the traditional look of a country style kitchen. Complete with distressed wooden furniture, antique-style furnishings and that all encompassing homely feel – it’s no wonder this design remains to be such a popular choice for the home. Intricately drawn and softly hand-painted, our Branscombe artwork was created by nature lover Gracie Tapner. Hailing from a small village outside Newmarket near Cambridge, Gracie has returned home after finishing her studies in London last year. After completing her degree in Illustration and Visual Communication at the University of Westminster, Gracie has now embarked on her full time career as an artist. With a passion for reading and getting lost in a good read, she also enjoys taking her dog around the local footpaths, to not only relax but garner inspiration from her natural surroundings. We caught up with the talented Gracie to find out more about her inspirations for the Branscombe range and how she feels to see her artwork in store! Nice to meet you Gracie! First of all, what are the inspirations behind your art-work? My main inspiration is nature although I know that’s a huge topic! I like to try and capture fleeting moments, be they humorous, beautiful or just odd. I aim to keep my paintwork loose and expressive, never overworked which can often be a fine line. Do you have a particular favourite subject to paint? 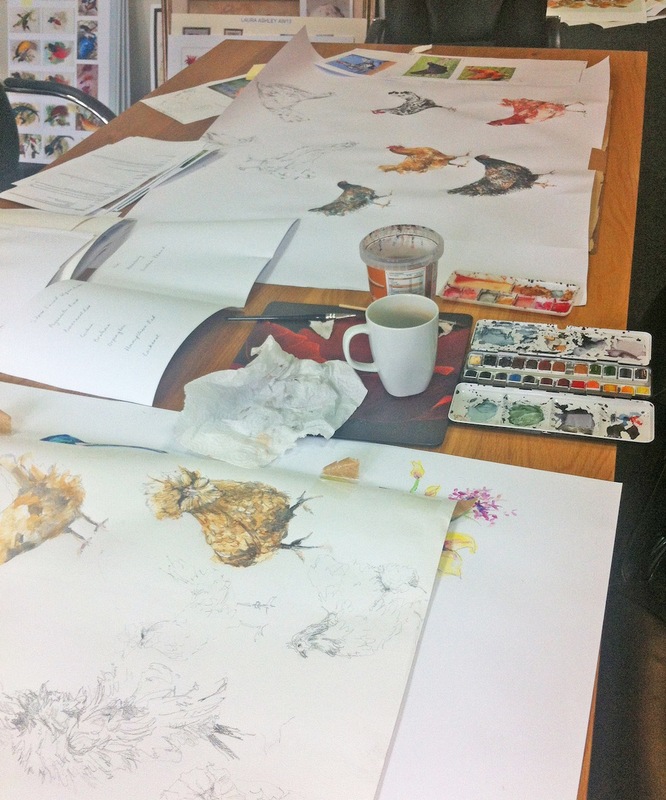 Talk us through the process of creating the Branscombe illustrations, you must have studied lots of our feathered friends. I started gaining reference images and doing initial sketches to work out proportions and the details of the faces especially. And then I just started painting! I try not to overthink when I’m working and not be too ‘precious,’ I tell myself it’s not the end of the world if I have to start a chicken again. 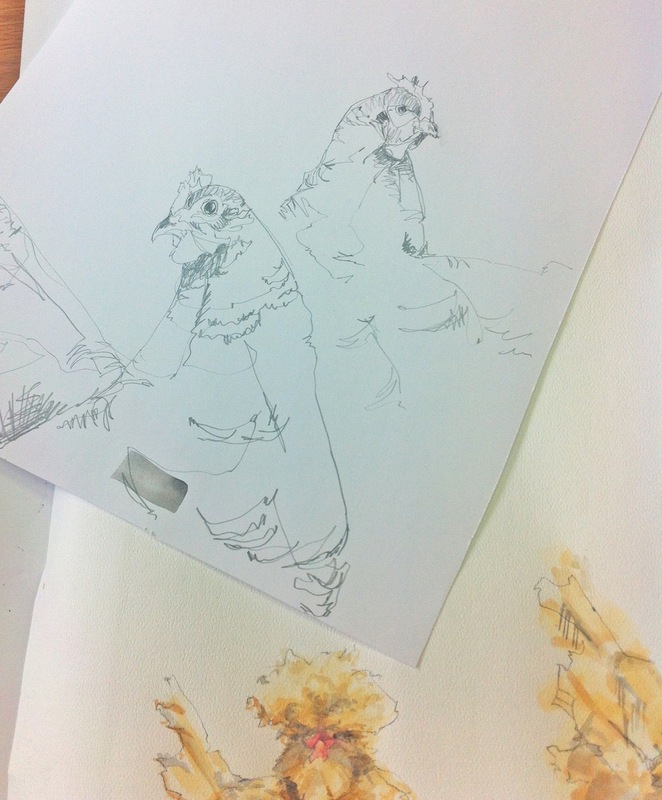 The only part of the chickens I outlined in pencil first was the details of the faces, the rest was worked initially and only in watercolour paint, layering up to the deeper colours and feathered details. I worked solidly for about a week on them. 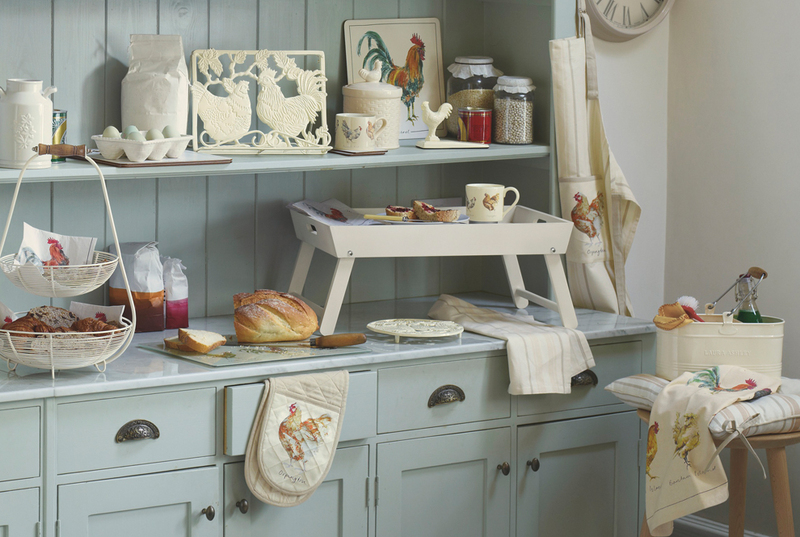 Now that our new Spring/Summer collections are in store, how does it feel to see your art-work in the Laura Ashley range? Overwhelming. To come straight out of uni and almost immediately have artwork in shops, and not just any shops but a huge company like Laura Ashley, is beyond amazing. I’m just so excited! 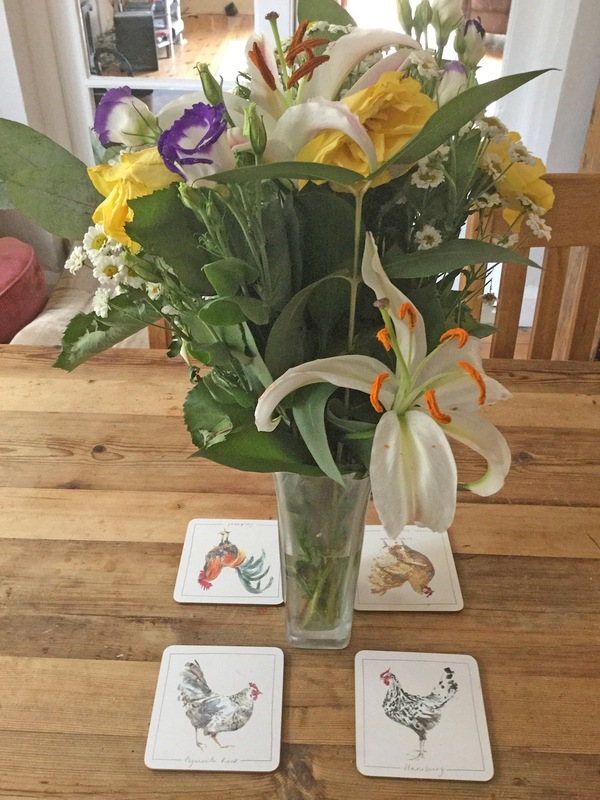 It’s surreal too, at home I’m surrounded by objects with my chickens on them! 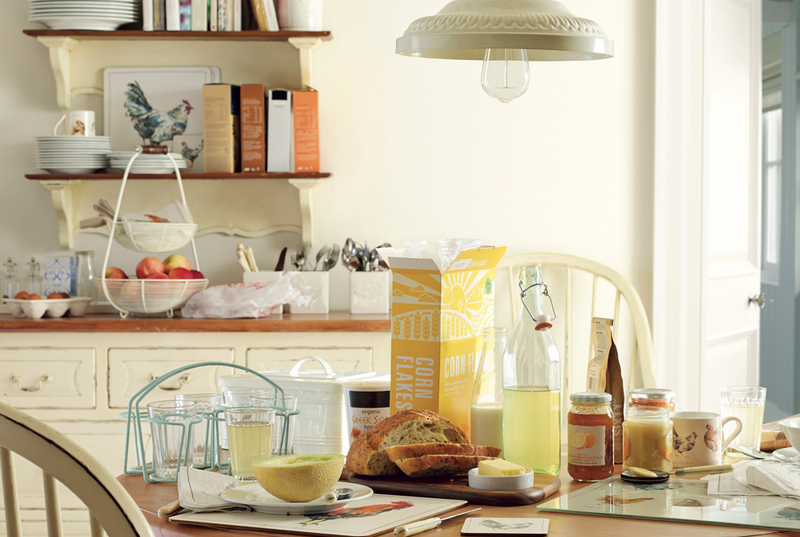 The collection certainly lends character and style to any kitchen, but which pieces are your must-haves of the range? I love all of it of course!! 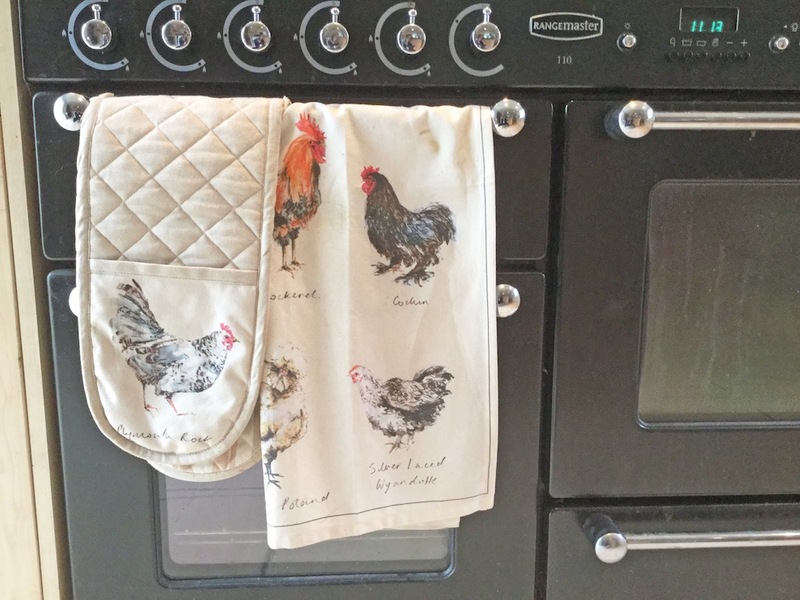 If I had to choose though my favourites would be the tea towels, the oven gloves and the work surface protector. 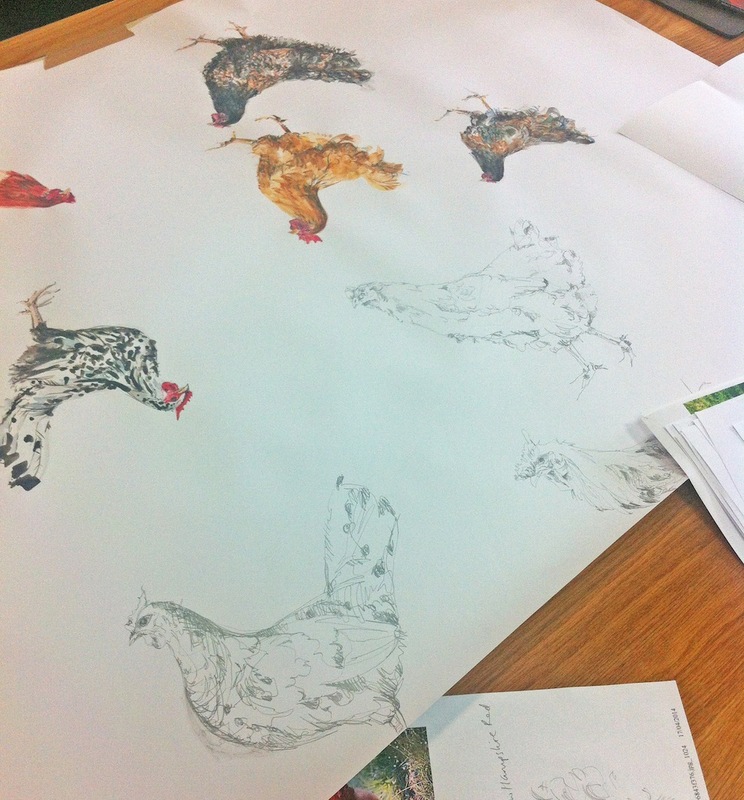 The colours just seem to have come out really well on them and I do love to see as many of my chickens together as possible! The mug’s great too, I think everyone in my family now has a Branscombe chicken mug. We think you’ll agree when we say that Gracie has incredible talent, her attention to detail is second to none. Make sure to discover her beautiful artwork in our Brandscombe collection here. 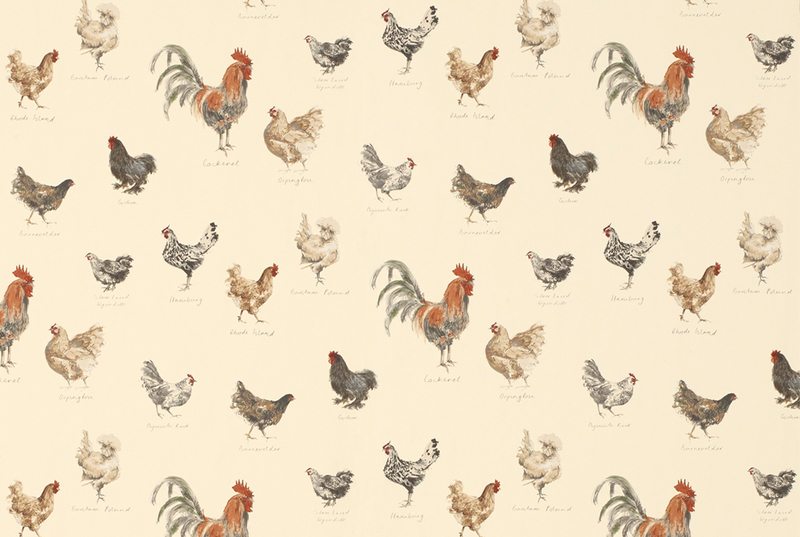 Tell us – which of Gracie’s charming chicken printed pieces are your favourite? Gracie, these paintings are wonderful! Congratulations on your talent and success. And, by the way, everyone in your family does not have a chicken mug, namely ME. Guess I’ll have to cross the pond to get one. 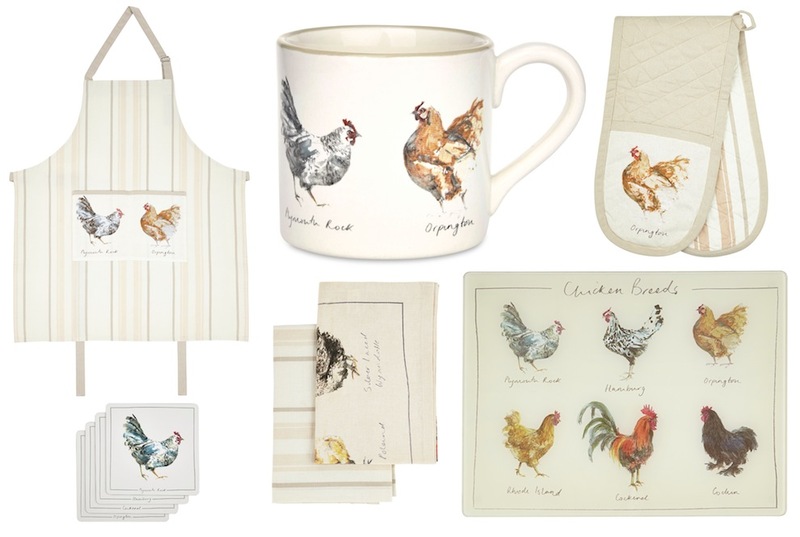 Gracie Just bought your chicken range!! Will you be painting framed prints from the range… ?